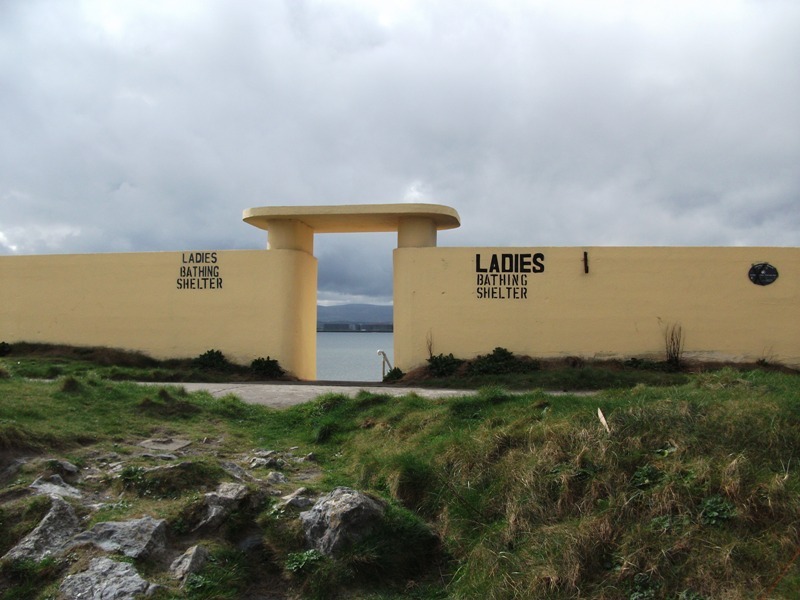 Ladies bathing Shelter on the Bull Wall beside Dollymount Strand, in Dublin. The wall features multiple public bathing shelters (each designated male or female), with steps down to the water – the water is close by only at mid- to high-tide. 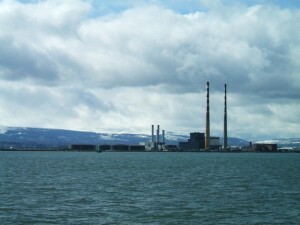 The view across Dublin Bay from the top of the bathing steps, taken on a previous visit. Note the snow on the hills. Looking at the shelter from Dollymount strand. The strand is 5km/3.1miles long and was the place we spent many a Sunday afternoon during my childhood. We walked, swam, built sandcastles and explored the sand dunes and enjoyed picnics with pots of spuds and tea boiled on a Primus stove. 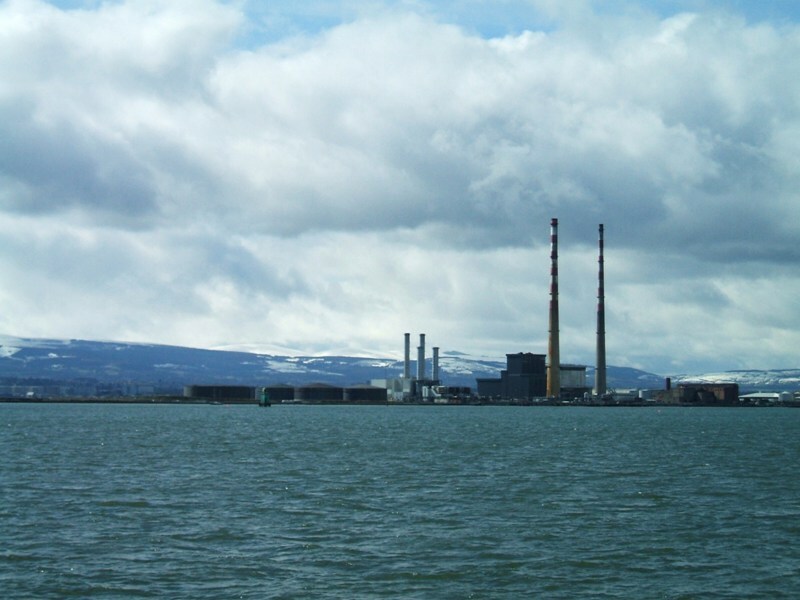 There are two golf courses located at Dollymount, The Royal Dublin Golf Club and Saint Anne’s Golf Club. The Royal Dublin Golf Club has played host on many occasions to The Irish Open Golf tournament. The island is a bird sanctuary of international importance with close to 200 different species of birds including wintering waterbirds, waders and predators such as Kestrels, Peregrines, Sparrowhawks and Merlins. Birdwatch Ireland arranges field trips to the island throughout the year. Walking dogs on the beach is a popular activity but the dogs must be kept under tight control due to the Wildlife Reserve. 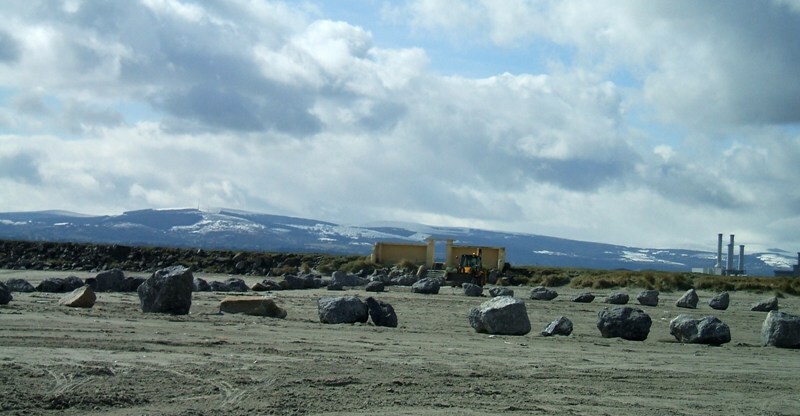 Like many a Dubliner, I learned to drive on Dollymount strand as it has a firm flat sandy beach during low tide. Today, access by car is limited to a section of the island located near the Bull Bridge and two sections near the causeway at Raheny. This entry was posted in Ireland, Photography, Travel on April 7, 2012 by Grannymar.